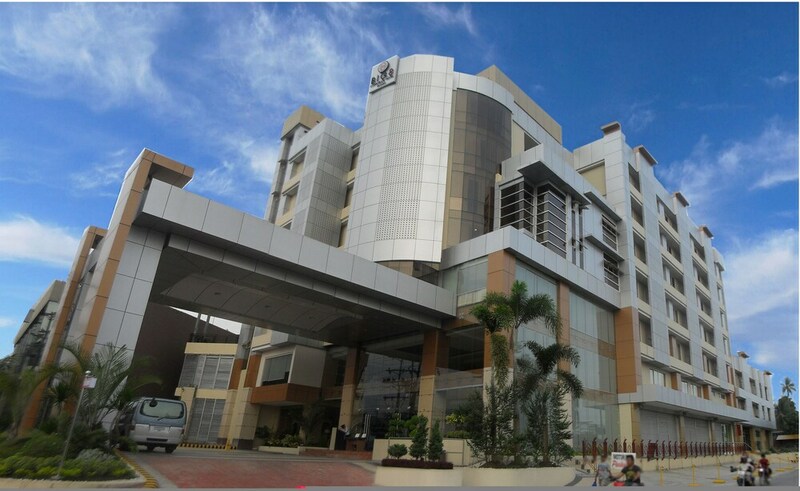 Situated in Tagum, this hotel is 0.5 mi (0.8 km) from Gaisano Grand Mall and 1.6 mi (2.5 km) from Tagum City Hall. New Christ the King Cathedral is 0.6 mi (1 km) away. 2 restaurants, an outdoor pool and 2 bars/lounges are available at this hotel. Free breakfast and free WiFi in public areas are also provided. Additionally, a fitness centre, a poolside bar and a coffee shop/café are on-site. All 120 rooms provide conveniences such as fridges and coffee makers, plus complimentary wireless Internet access and LCD TVs with cable channels. 24-hour room service, minibars and free newspapers are among the other amenities available to guests. In addition to an outdoor pool, Big 8 Corporate Hotel provides a fitness centre and a kid's pool. Dining is available at one of the hotel's 2 restaurants, and guests can grab a coffee at the coffee shop/café. Guests can unwind with a drink at one of the hotel's bars, which include 2 bars/lounges and A poolside bar. Guests can enjoy a complimentary breakfast each morning. A computer station is located on-site and wireless Internet access is complimentary. A business centre is on-site at this 3.5-star property. This business-friendly hotel also offers a rooftop terrace, spa services and tour or ticket assistance. For a surcharge, a round-trip airport shuttle (available on request) is offered to guests. Parking is available on-site at a surcharge. Big 8 Corporate Hotel has designated areas for smoking. A complimentary breakfast is served each morning between 6 AM and 10 AM. An additional breakfast (subject to charges) is served daily. Cafe Velma – This restaurant serves breakfast, lunch and dinner. Happy hour is offered. 129 Coffeebreak – This coffee shop specialises in Eastern European cuisine and serves brunch and light fare. Start your morning with a free breakfast, available each day from 6 AM to 10 AM. For a surcharge, an additional breakfast is served daily. Room service is available around the clock. Rollaway/extra beds are available for PHP 1500.0 per night. Cribs (infant beds) are available for PHP 250.0 per day.